Prime Minister Datuk Seri Najib Tun Razak has announced the appointment of Datuk Wan Zulkiflee Wan Ariffin as Petronas President and Chief Executive Officer effective April 1, 2015 until March 31, 2018. Wan Zulkiflee takes over from Tan Sri Shamsul Azhar Abbas, whose contract term ending Monday has been extended to March 31, 2015. In a statement in Kuala Lumpur, Najib said the government is grateful to Shamsul Azhar for his contributions to Petronas since assuming the post in 2010. 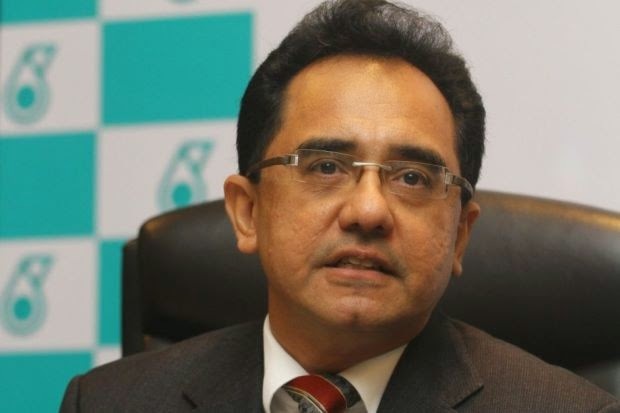 Najib expressed hope that Shamsul Azhar, who has served Petronas since 1975 having held several senior administrative positions, could contribute to the nation's development especially in the energy sector with his vast knowledge and experience. Wan Zulkiflee, who has extensive experience in the nation's petroleum industry, is currently Petronas Chief Operating Officer and Executive Vice President, Downstream Business. He is also Chairman of Petronas Chemicals Group Bhd and Petronas Dagangan Bhd. The Prime Minister said Wan Zulkiflee has the qualifications and experience to bring continued success to the national oil company.